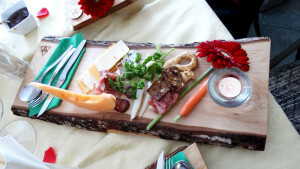 Hosting a dinner party, an evening soiree or an afternoon luncheon with the Cheese Tasting Boards for Two can add that special touch which will make your event memorable. 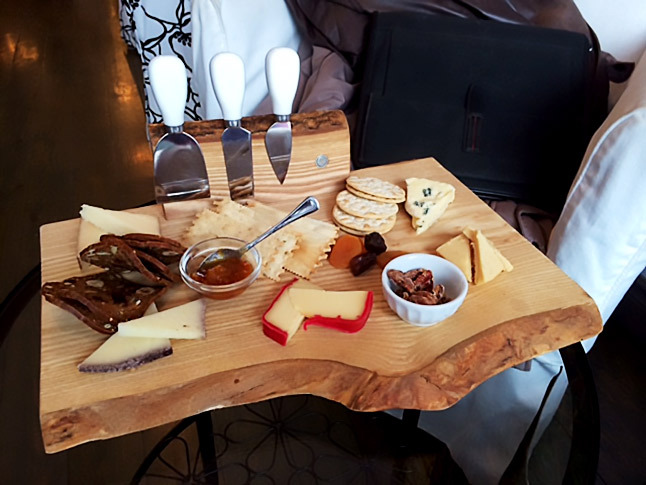 The Cheese Tasting Trays provide ample surface for a diversity of cheeses, sauces, or appetizers along with a vertical ledge with magnetic insets to hold your favourite cheese knives. The warmth and irregularity of the handcrafted trays compliment any environment or occasion. A luncheon which features a fresh variety of vegetables, salads, along with cheeses, breads, etc. 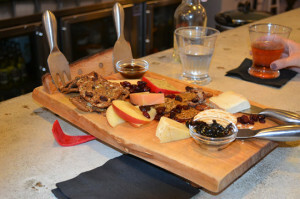 becomes extra special when served on individual Cheeseboards. Possibilities abound when one considers an evening affair with candlelight reflecting the natural glow of wood. 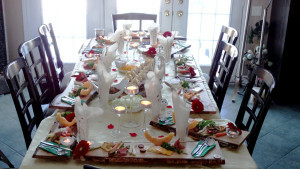 Imagine your next occasion with this rustic beauty adorning your table. The wood for these platters are individually selected, carefully milled and sanded. All boards and serving platters are finished with a food grade safe and Kosher certified clear mineral oil and a hand-rubbed beeswax finish. Treat yourself to a new adventure in food service —enjoy the distinctive function and natural beauty of wood.